One of the more hilarious things to come out of the DeAndre Jordan Hostage Crisis of 2015 was the work of always-wrong ESPN doofus/bigot Chris Broussard, a grossly stupid man and bad reporter. Things got crazy last night, but the idea that Cuban would a) not know where DeAndre Jordan lives and b) be driving around Houston like a maniac for no good reason was too good to be true, especially given Broussard’s track record as a shoddy reporter. Driving around Houston? That’s ridiculous. I was in my hotel all day yesterday. 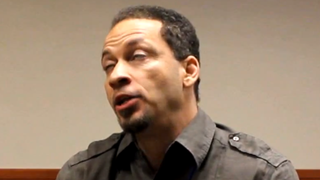 Where are the ethics, Chris Broussard?